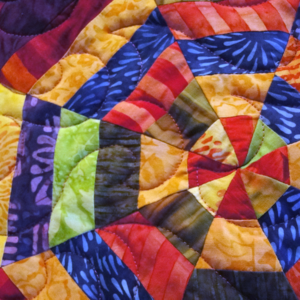 Schedule a workshop for your club or group to learn fun and easy techniques for curved piecing or machine applique, Drunkard’s Path variations, or explore creating Dresden Plate or Kaleidoscope blocks. The Spider Web and Kaleidoscope blocks provide a great deal of design possibilities. The block can be made to look very traditional or very modern – it’s all up to the fabrics you choose. We will begin by stitching a simple basic Kaleidoscope block as we learn how the block is pieced. You will learn the magic tricks so that your points all match up in the center! Then we will explore creating strip sets as we create unique spider web blocks. If you want to play around for the day and just explore what you can create with different strip sets – go for it. If you would like to create a table runner or table topper – that can be easily accomplished. Dresden Plates have always been a popular block. Expore how to create the traditional block as well as ways new and creative ways to work with the traditional block. 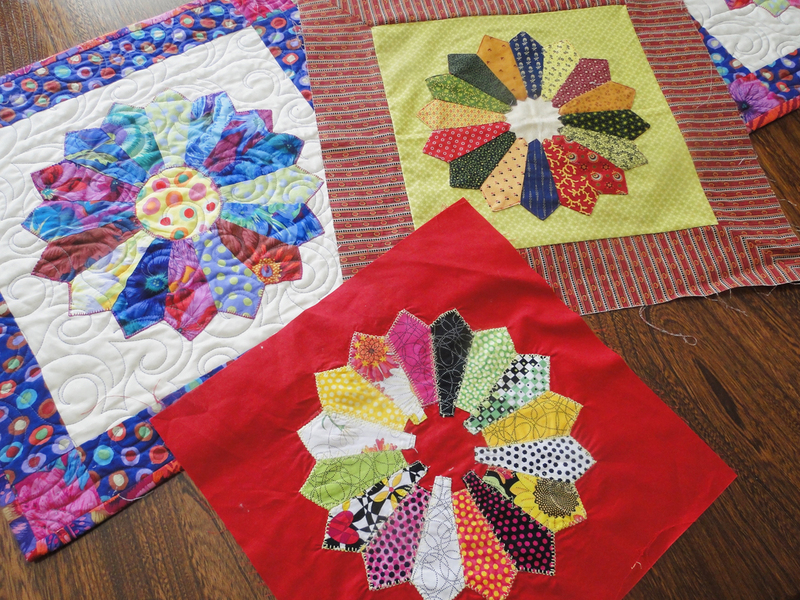 Explore different blade sizes, overlapping blocks, and different ways to finish the center. Learn different ways to attache the plate to your background fabric (hand applique, hand embroidery, machine appique, decorative stitches on your sewing machine.) 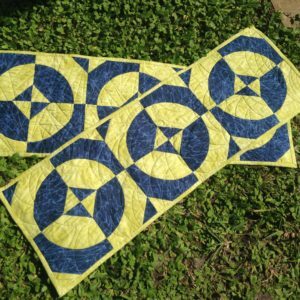 This is a design and technique class – you will leave with several Dresden plate blocks that you can turn into pillows, table runners or incorporate into a quilt. 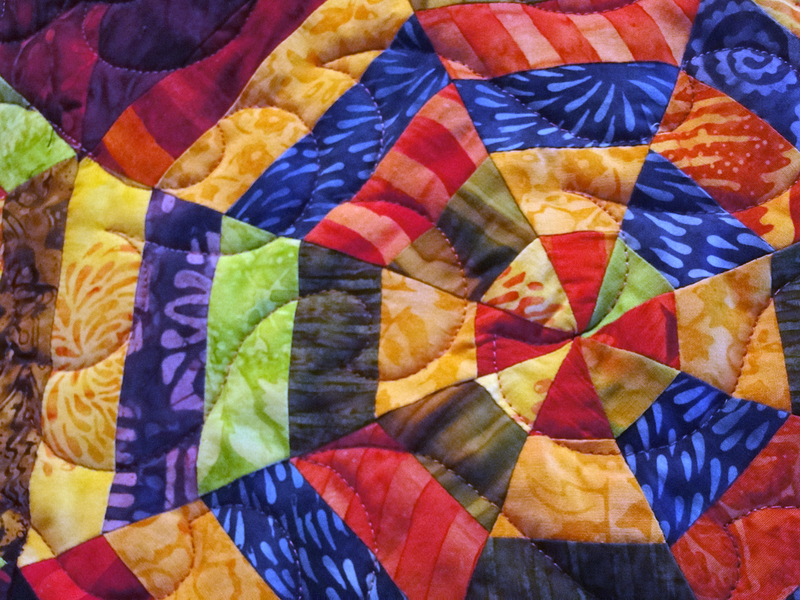 Have a fear of curved piecing? Then class is for you. 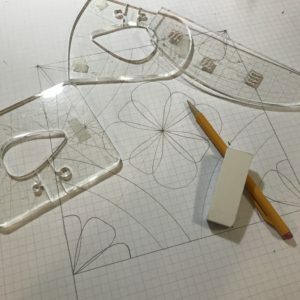 Learn how easy it is to sew a curve with the Drunkard’s Path block – and for a bit of flair, throw in a triangle in the corners. 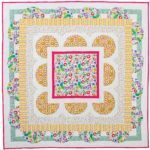 You will leave the class being able to sew curves with confidence and enough blocks to create a table runner or small table topper. 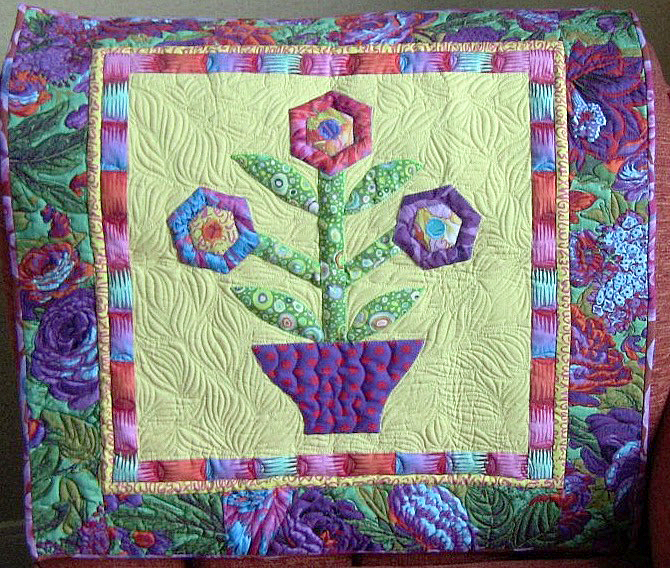 Machine Applique is a wonderful way to add some intricate designs to your quilts or home dec projects. We will be working with a traditional block – the Old English Flower Garden Block. 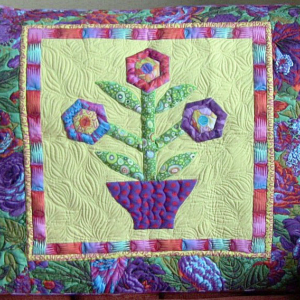 In this class we will be doing raw edge applique with the use of fusible web. We will also be working with the decorative stitches on our sewing machine as we applique the pieces to our background fabric. 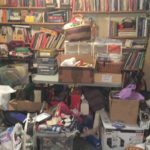 We will first work with some practice fabric to explore various decorative stitches and settings and then practice a little machine applique. We will then work on the actual block. 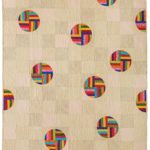 At the conclusion of this class you will have a block that can be turned into a pillow, small wall hanging, or be used as a block in a quilt. Shaken Not Stirred 48" x 48"
Master curved piecing with my techniques that make sewing the Drunkard’s Path block a breeze. Once you have sewn a few practice blocks then it’s time to get stitching and create this wonderful wall hanging. Red and White not your favorite colors – well pick two of your favorite colors – or mix and match colors and go scrappy. Learn two of the variations from my book A New Spin on Drunkard’s Path and create this elegant modern throw. 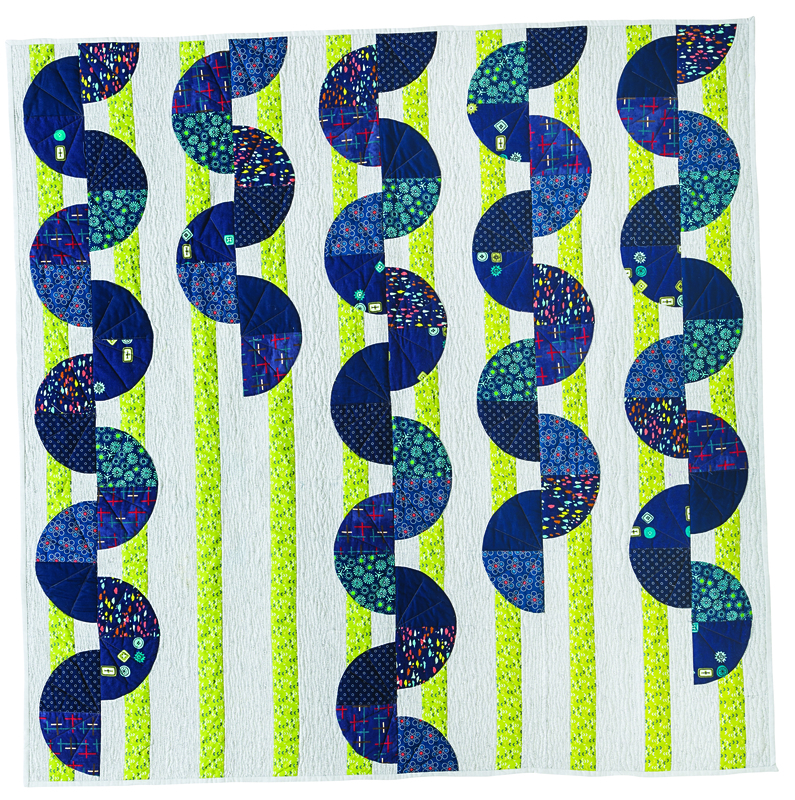 Create your quilt with this subdued monochromatic color scheme or select another color way. You will learn my techniques for piecing the Drunkard’s Path block and find out how easy it is to piece these complex looking blocks. 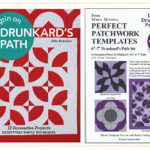 Create this whimsical quilt and learn one of the variations from my book A New Spin on Drunkard’s Path. 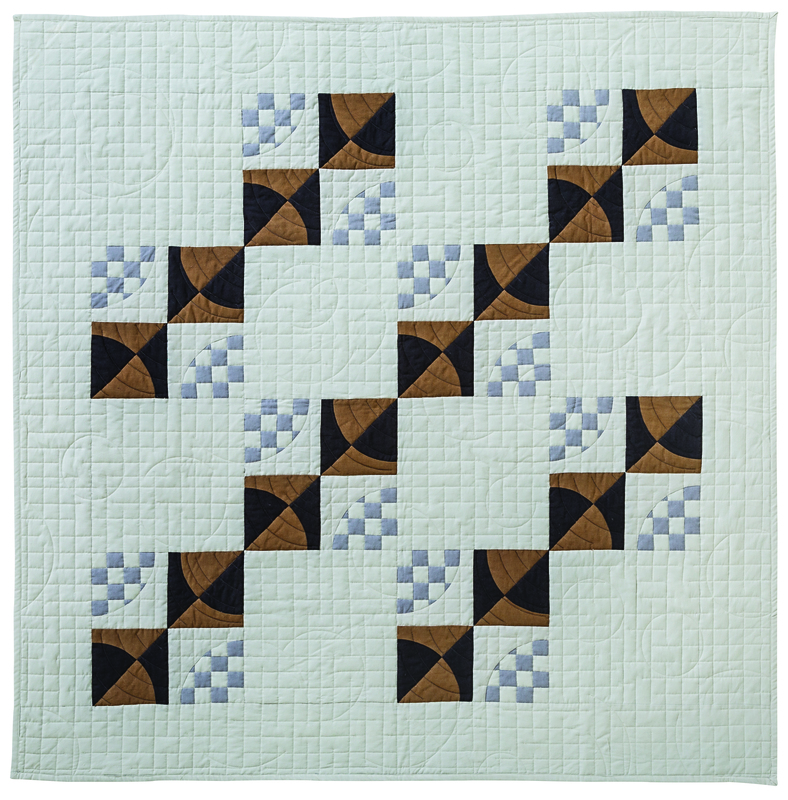 We will learn a strip piecing technique that is used to create the variation. 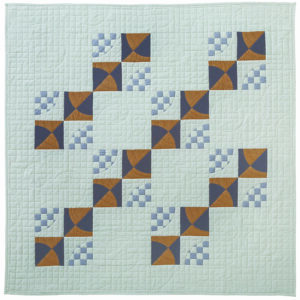 This same technique can be used to create unique border designs in quilts. 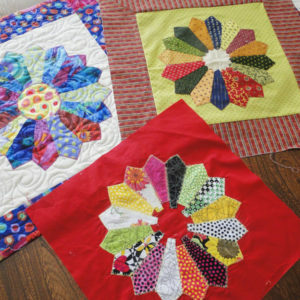 If you would like to spice things up a bit – you can incorporate the split-fan variation for some or all of the blocks. In the half-day class we will work on a table runner. 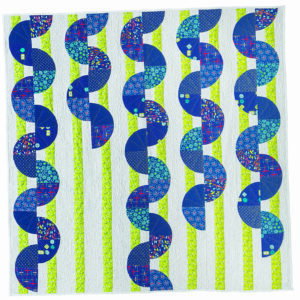 In the full day class we will work on the throw size quilt. 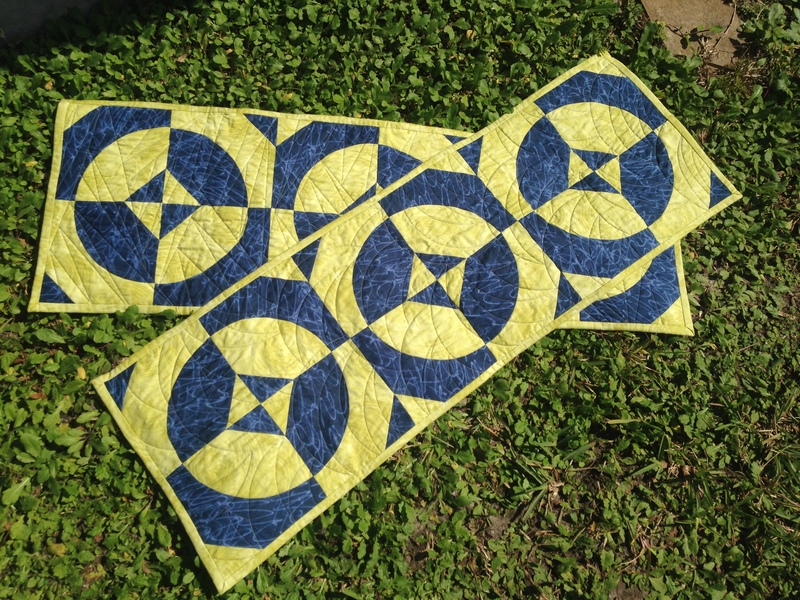 Interested in me teaching a piecing workshop to your group? Please contact me with your request.